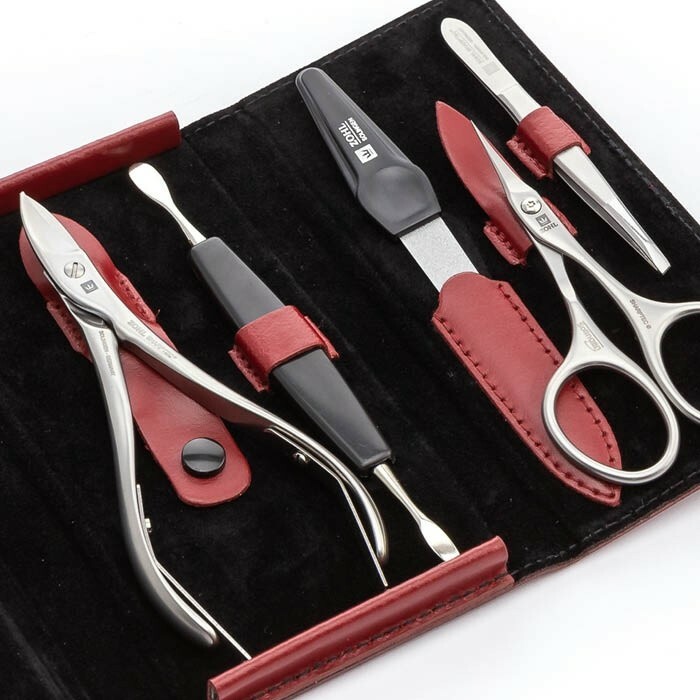 For the woman who values best quality nail instruments and carries her beautiful style, the Solingen manicure set Grazia is a luxury gift. 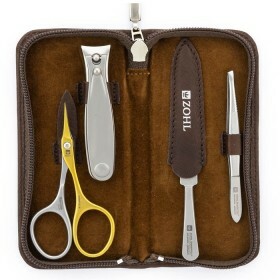 It is crafted in Germany from surgical stainless steel and keeps the blades sharp for a very long time. 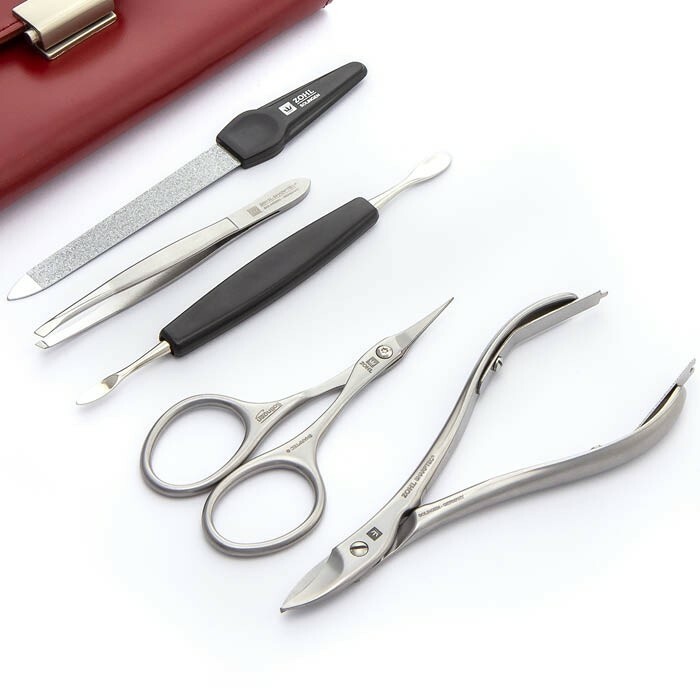 Complete with 5 professional nail instruments SHARPtec for manicure and pedicure, it includes a high quality toenail cutter, extra fine cuticle scissors, sapphire nail file, cuticle pusher with a nail cleaner, and precision tweezers for the best eyebrow plucking. 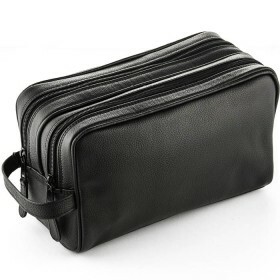 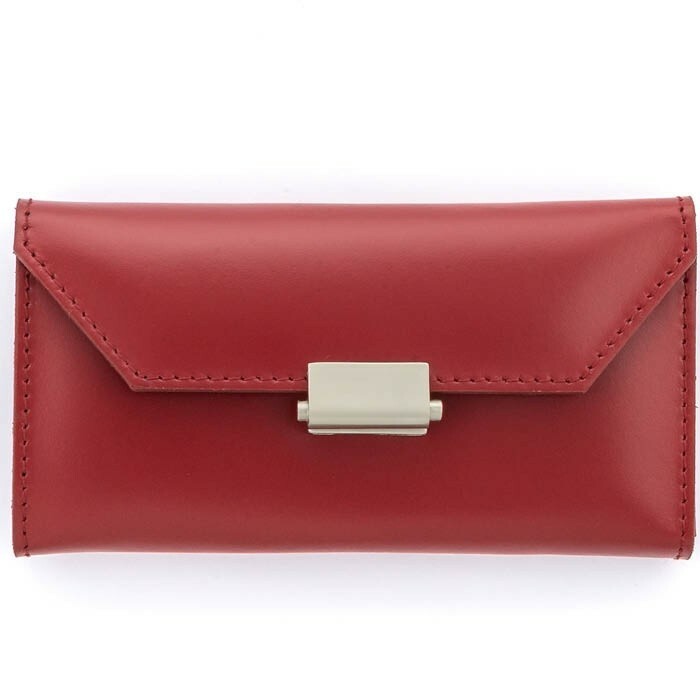 Elegant presentation in the red genuine leather case makes it a sophisticated accessory for every lady's beauty kit. 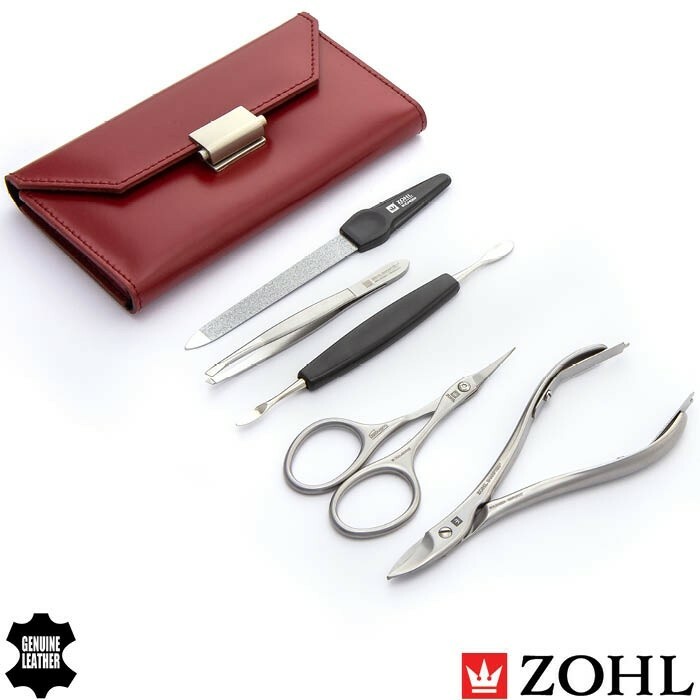 Grazia by ZOHL represents the highest quality manicure set for ladies who like professional nail care tools with long lasting sharpness and reliable precision. 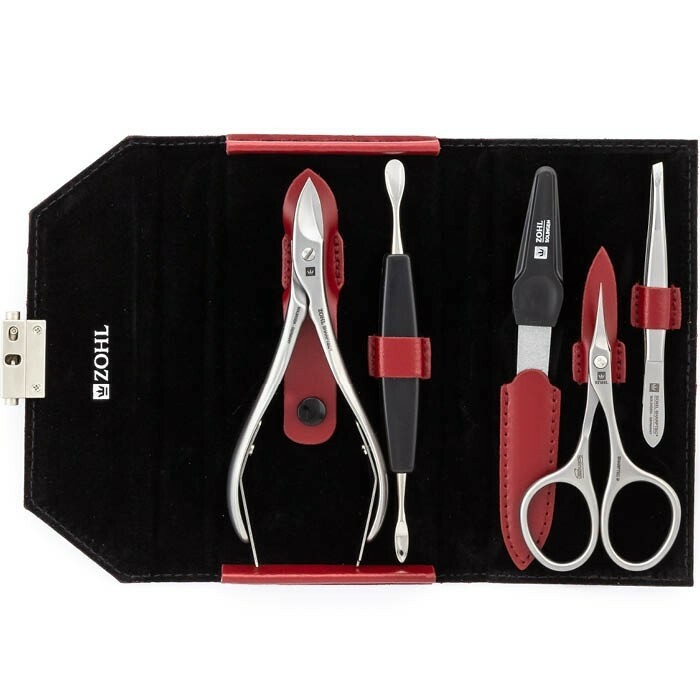 Like all ZOHL manicure sets, it is crafted by hand in Germany and will delight with meticulously sharpened blades – the feature that only the world's best manicure sets can boast. 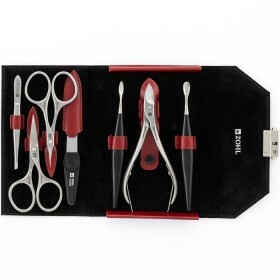 This is possible thanks to surgical stainless steel forged in a special way to keep the cutting edge sharp for many years without any need of re-sharpening. 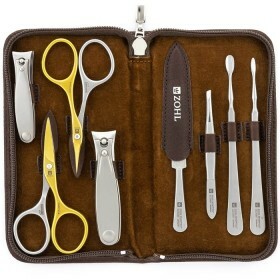 Smart investment for those who don't want to replace their instruments again and again, and care about reducing the waste that goes into landfill with every irresponsibly made scissors or clippers. 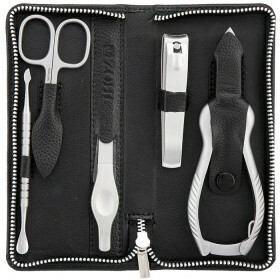 The manicure set is comprised of 5 stainless steel manicure and pedicure instruments. 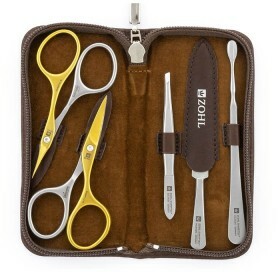 Eyebrow Tweezers (9cm) – the most popular tweezers in the ZOHL collection thanks to the slant perfect for plucking stubborn, stray or very tiny hairs. 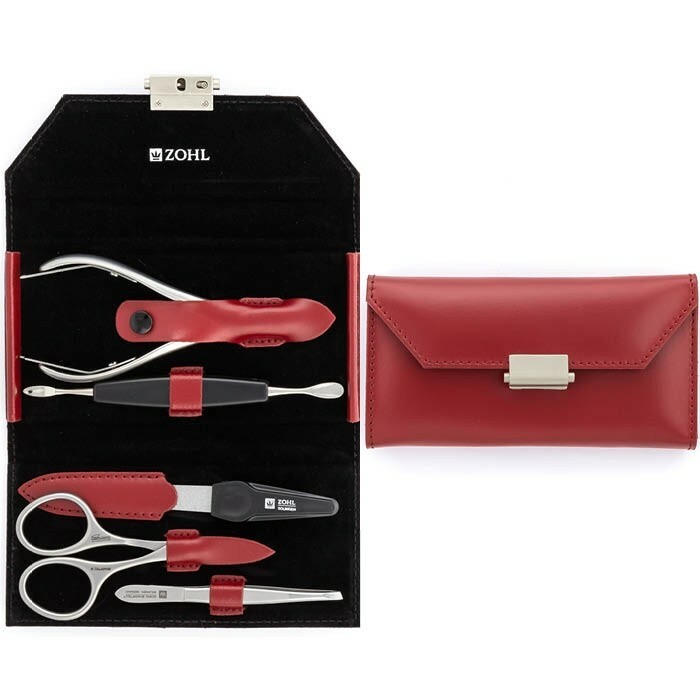 All tools are carefully protected in individual pockets of the stunning red case made of genuine leather with contrast black lining. 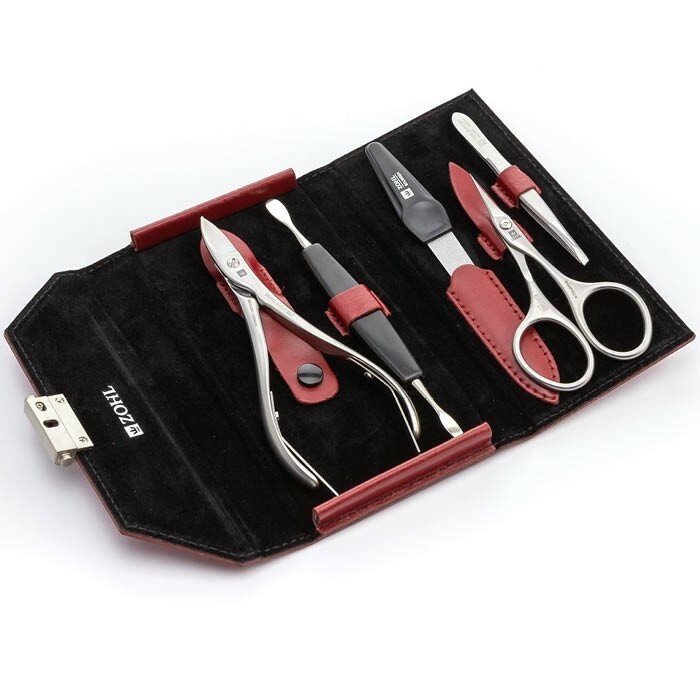 Feminine style, premium quality manicure tools and irresistible elegance make the Grazia the best manicure set for a woman who believes Quality is the best gift for her beauty regimen.